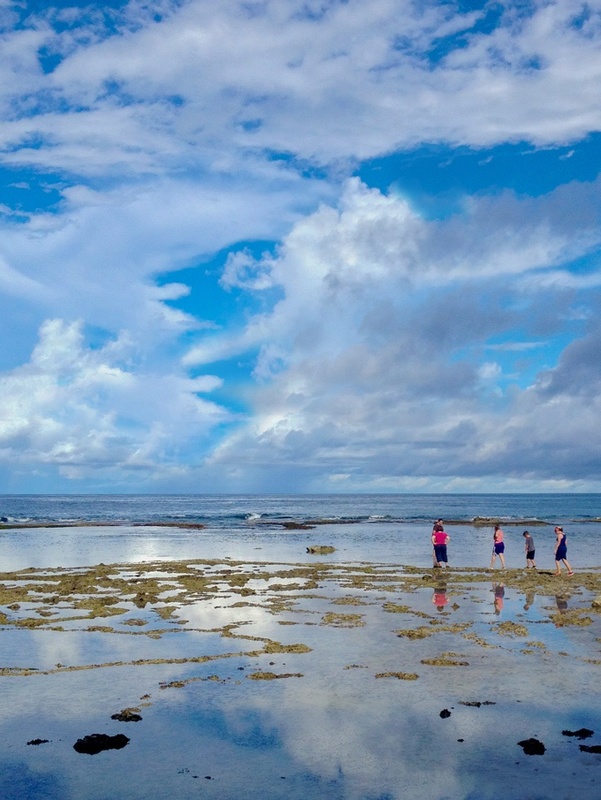 Guam may be small in size, but it’s big on water activities, culture, shopping, dining, and breathtaking beaches. 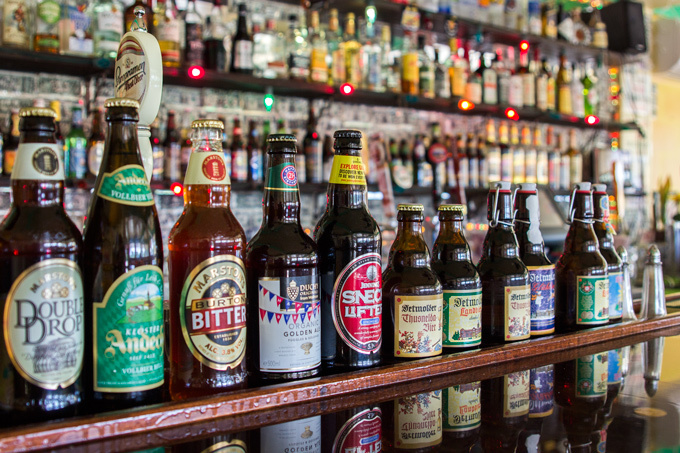 Find the best of each village — yes, all 23 — here. Agat is a village located on the southwest coast of Guam. It is regarded as the main commercial center of the island’s south. There are a few notable historical points of interest in Agat including the Agat Beach Unit of the War in the Pacific National Historic Park that include memorials to those who perished during the war as well as areas of the park where visitors can enjoy picnics and barbecues. Mount Alifan is another point of interest where remnants of the firefights between the Americans and Japanese are still evident to this day. Agat is also home to the Taleyfac and Taelayag Spanish Bridges, a couple of the structural remnants from when Guam was ruled by Spain in the 1700s. 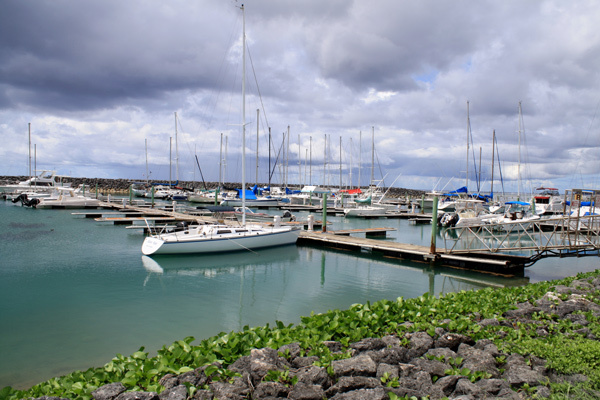 Agat also has a boat marina, which is a take-off point for sunset cruises and dolphin watching. 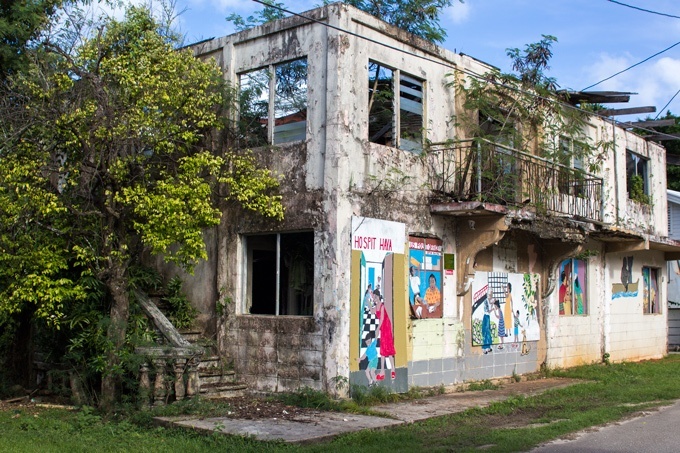 Asan is home to the Asan Beach Unit of the War in the Pacific National Historic Park. 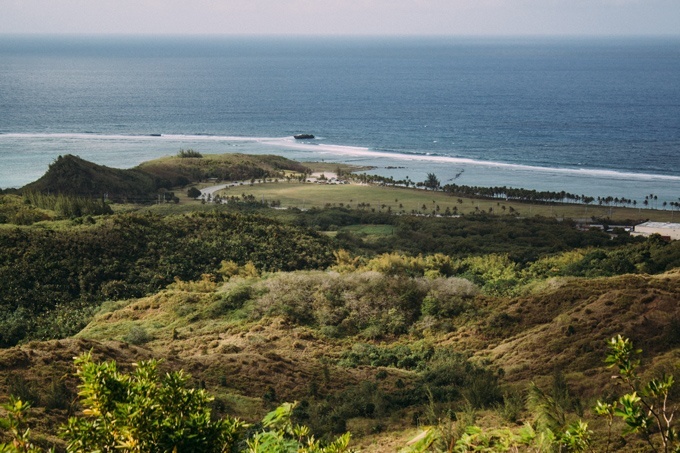 It is the site where American forces landed in the battle to liberate Guam from Japan during World War II. 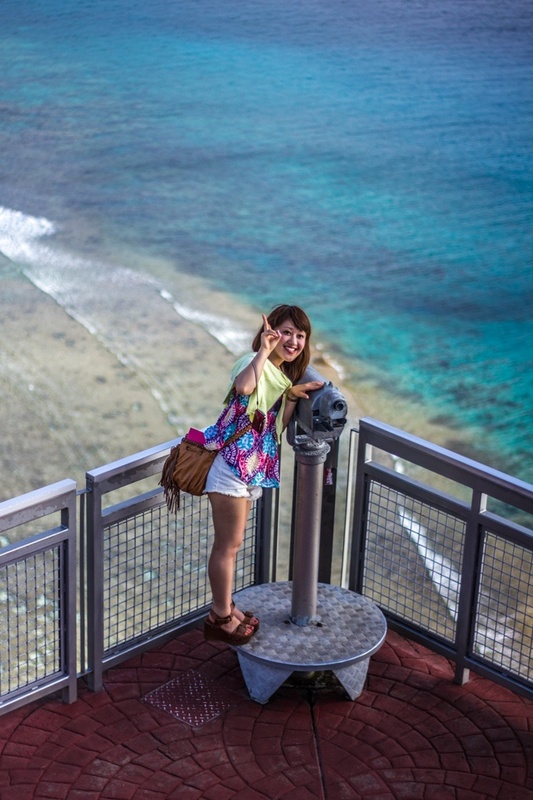 One can also visit the Asan Bay Overlook on Nimitz Hill for a panoramic view of Guam’s coastline. A drive up Mt. 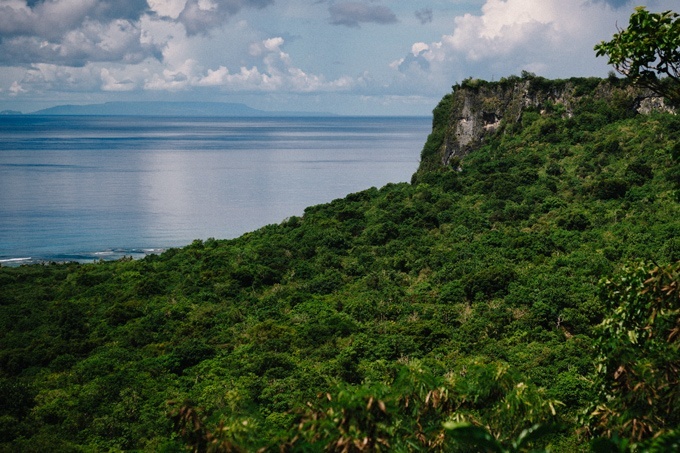 Barrigada offers a sweeping view of the hills of Central Guam all the way to the Philippine Sea. The village features softball and football fields, as well as a paintball course. The Guam International Airport is located in Barrigada and Tamuning. Chalan Pago-Ordot borders the scenic Pago Bay where one can stop at a lookout point to view the entire bay and surrounding landscape. The only access the shoreline of the bay itself is through Frank Perez Park. Just a little bit south from Frank Perez Park are bunkers used by the Japanese in World War II as a means of defense in Pago Bay. 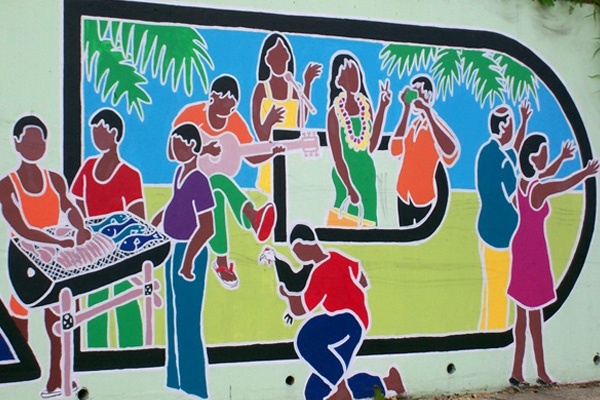 Also in Chalan Pago-Ordot is a village mural filled with images that reflect the the village’s history and community. Leo Palace, a sprawling resort, is accessible from Ordot. Dededo is home to Micronesia Mall, the largest shopping mall in the Micronesian Islands. It is an immensely popular spot for both locals and tourists with its wide range of shops that offer everything from apparel to toys to groceries at GAP, Macy’s, Toys R’ Us, and Pay-Less Supermarket. It is also a convenient place grab a bite as well with many different eateries throughout the mall and at the food court. Children are surely going to have a fun time there as the mall has an indoor amusement park, Funtastic Park, which has an arcade and various rides including a rollercoaster. 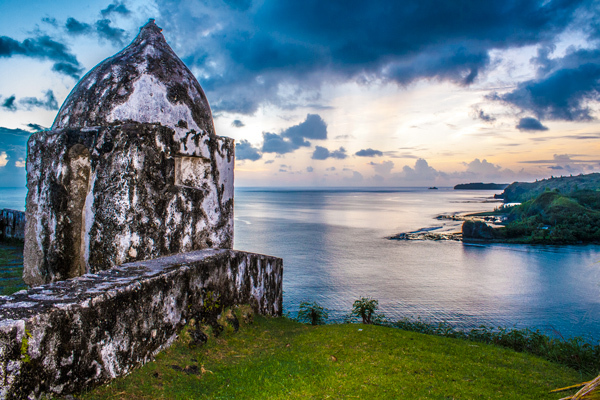 Two Lovers Point, a cultural and historical lookout, is also in Dededo. 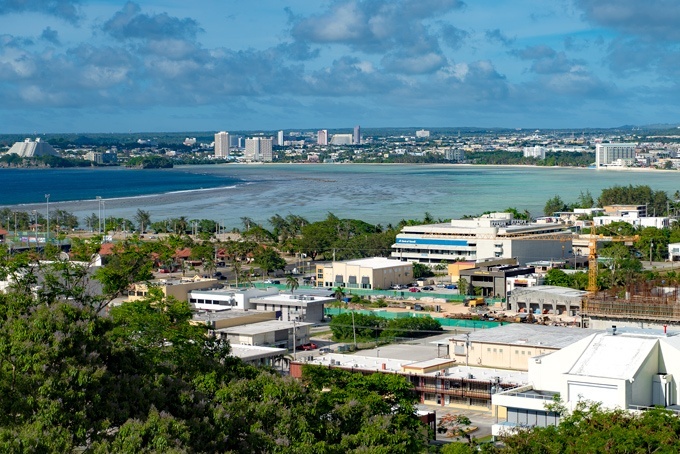 This site affords unparalleled views of Tumon Bay. Hagåtña (formerly known as Agana), while the island’s second smallest village, is the capital of Guam. 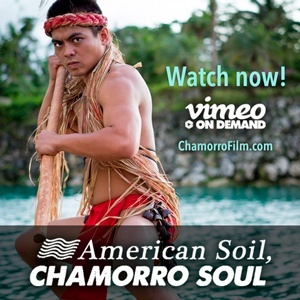 It also home to Chamorro Village, a lively destination for both locals and tourists to buy local wares as well as experience the island’s Chamorro culture and food. If you are up for shopping, a bite to eat, or catching a movie, then Agana Shopping Center is your one stop location for all those things! Ipan is certainly one of the villages you’ll certainly pass through on your way down south to Guam towards Talofofo and Inarajan. 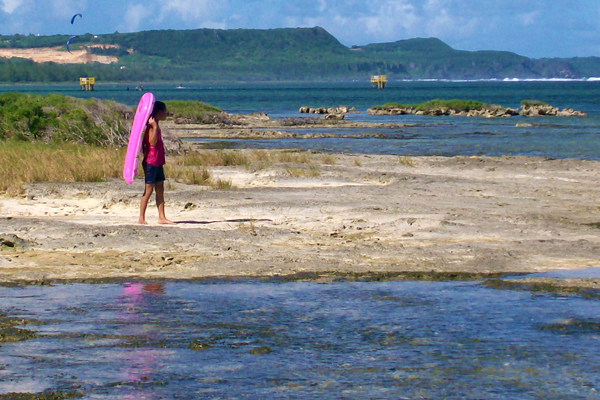 Ipan Beach is a popular spot for kite surfers on Guam, and next to it is Jeff’s Pirate Cove, one of the few traditional-style bar and grill on the southern end of the island. 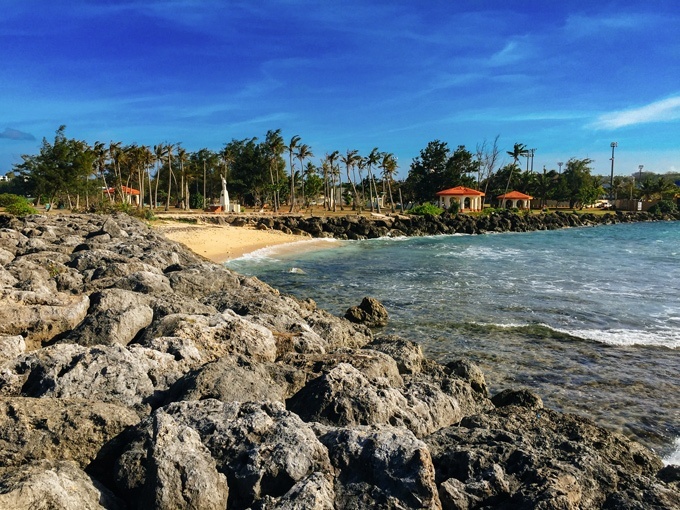 You will also find the Ipan Beach Resort, which is a popular spot for families to spend time at the beach as well as hold barbecues and parties. The village is home to Guam’s largest secondary educational center, The University of Guam, located in the heart of Mangilao. Notable features of the UOG Campus are the Planetarium and the UOG Fieldhouse, one of the largest indoor venues on Guam. 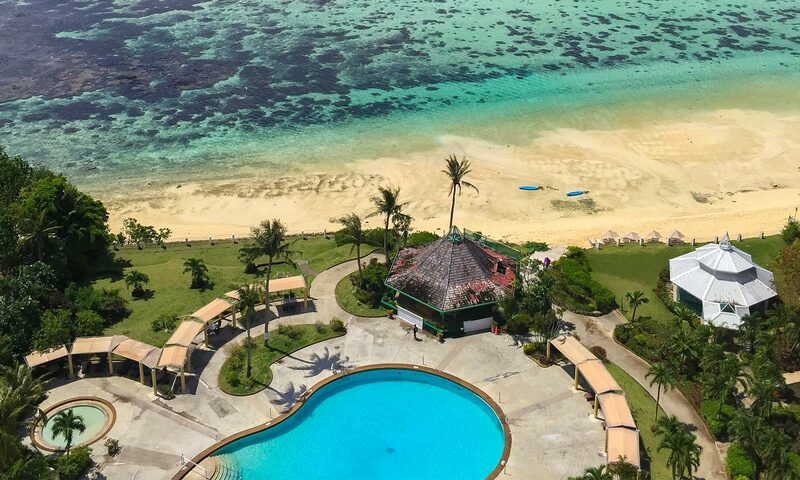 If you’re an avid golfer then you’ll enjoy The Mangilao Golf Course, which has some of the most picturesque island views. Merizo is Guam’s southernmost village. 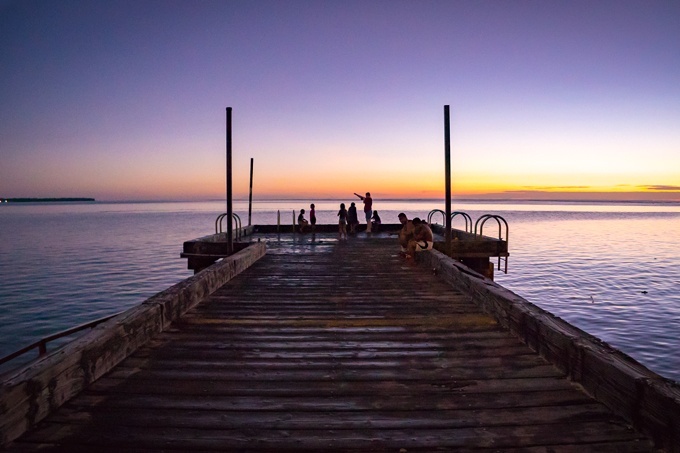 Swimmers and tourists frequent the Merizo Pier, as do local fisherman with trolling rigs. 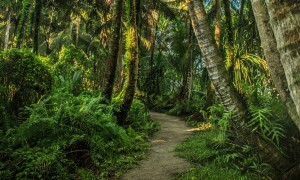 From this vantage point Cocos Island can be observed in full length from east to west. Guided tours to the resort on Cocos Island depart from the docks at Merizo. Priest’s Pools, a series of natural pools, is hidden in Merizo, but is an easy hike with fantastic views of the ocean. The village of Piti is noticeable as you head south on Marine Corps. Drive. 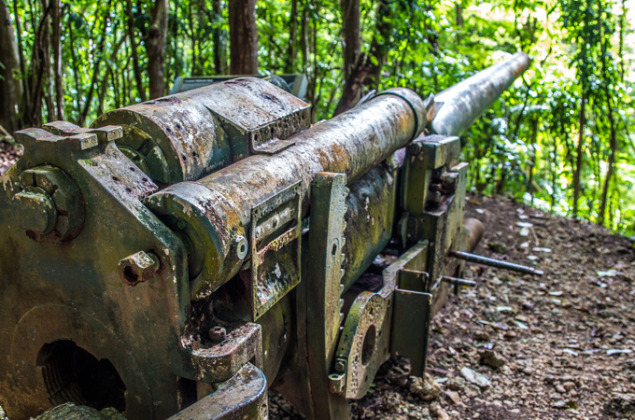 There are several attractions in Piti worth stopping at such as the Piti Guns, three coastal defense guns built by the Japanese to use against American forces in World War II. If you wish to explore beneath the waves without ever getting wet, then pay Atlantis Guam a visit and go underwater inside a submarine. 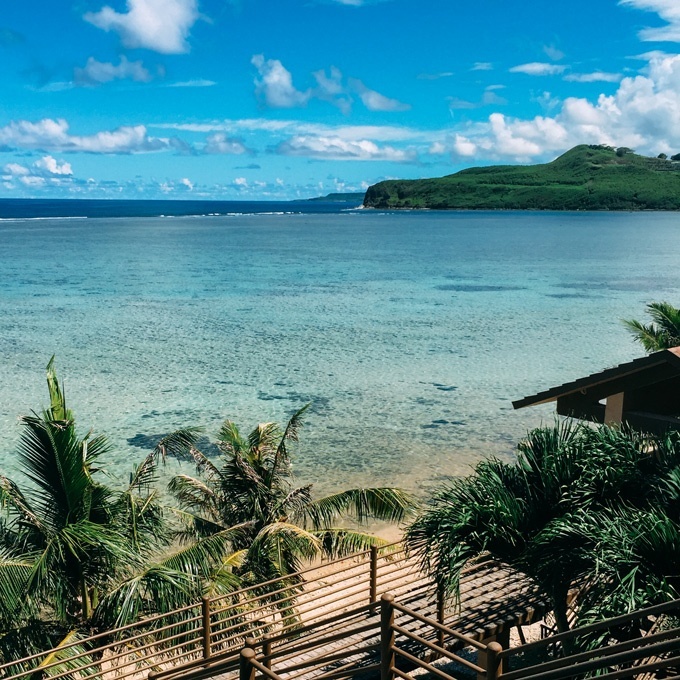 One of the most notable sights in Piti is the Fish Eye Visitor Center Underwater Observatory, the only one of its kind in all of Micronesia. If you’re a diver then a trip to the Piti Bomb Holes is a worthy treat. This sleepy village is known for its majestic waterfalls, ancient caves (including that of Shoichi Yokoi), and secluded beaches. There is also a souvenir shop and a museum that details the activity in the area during both World Wars. Tourists and locals also enjoy the quiet and serene Onward Talofofo Golf Course. 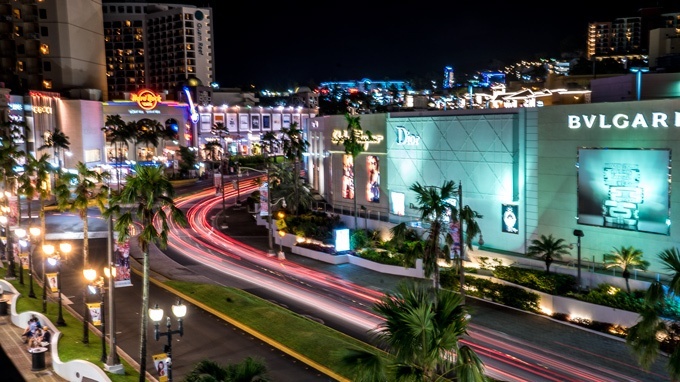 The villages of Tamuning and Tumon are home to the majority of shopping, dining, and entertainment on Guam. Dozens of high-ride hotels line Tumon Bay, a marine preserve. Luxury shopping centers like The Plaza, JP Superstore, and DFS Galleria attract an international crowd. Up for adventure? 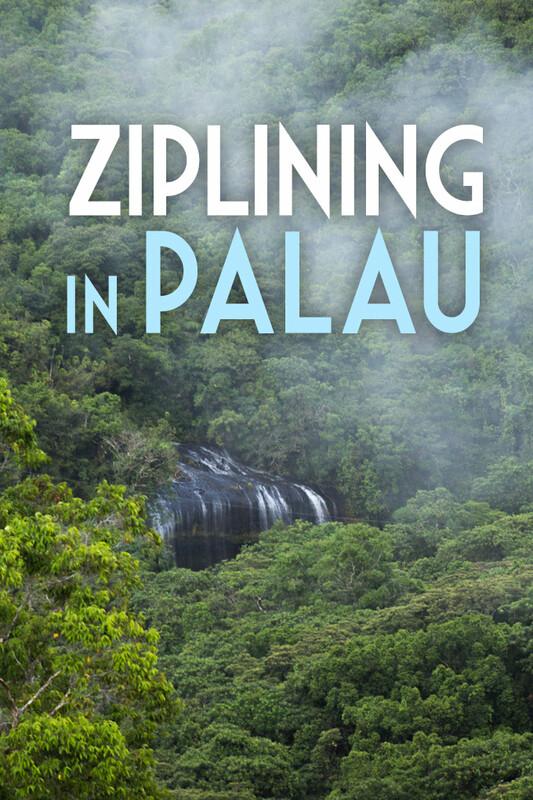 There’s ziplining at the Hilton, the infamous sling-shot, Tagada Amusement Park, and Onward Waterpark. The small village of Umatac is located in southern Guam along Umatac Bay. 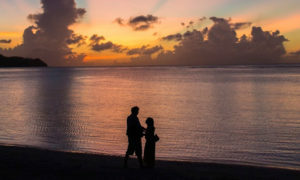 The community of Umatac is relatively smaller than others on Guam and made up of a handful of residents, many of whom are relatives. At the center of the bay is an obelisk monument to Ferdinand Magellan’s landing in 1521, bearing the inscription, “Magellan landed here.” The bay is also home to some of the island’s best surfing. Fort Soledad is one of Umatac’s main tourist attractions, originally built by the Spanish, and contains ruins as well as sweeping views Umatac Bay. Yigo is Guam’s northernmost village and home to Andersen Air Force Base. One of the village’s main attractions is the South Pacific Memorial Peace Park, which serves as a memorial to the American and Japanese soldiers who died during the battle of Guam during World War II. Ritidian Beach is a public-access beach and wildlife preserve with white sand and roaring waves. 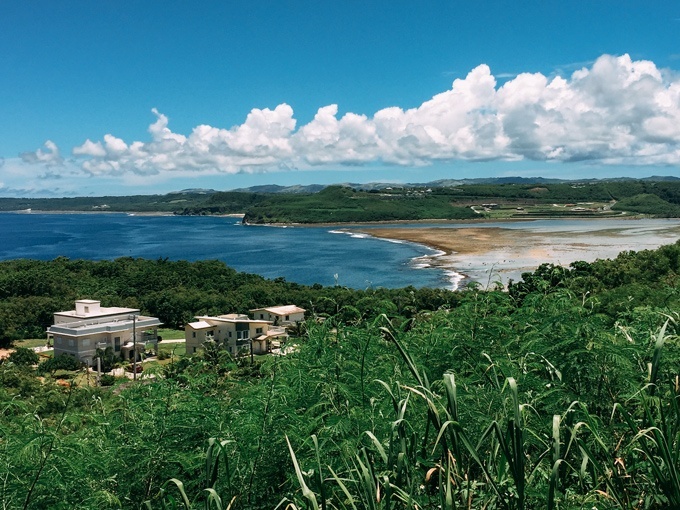 The southern part of Guam is what most people imagine an island being like — sparsely populated with beautiful rolling hills and ocean views. 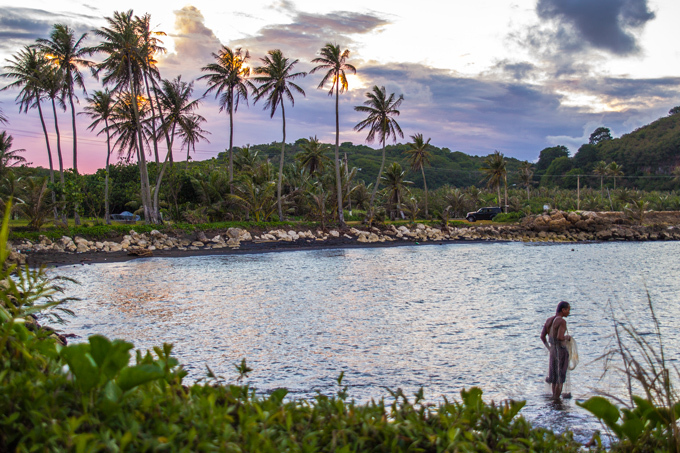 The village of Yona is no exception — check out Tagachang Beach for proof. 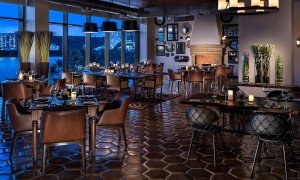 While it is mainly a residential area, the sprawling LeoPalace Resort has plenty of outdoor activities and locals go there to bowl, sing karaoke, and play golf. Golf enthusiasts can enjoy a selection of golf courses in Yona, including Country Club of the Pacific and Windward Hills Golf Course. Hamamoto Tropical Fruit World, a 50-acre fruit utopia with more than 70 varieties of tropical fruit, is also located in this large village.